I have spent the last twenty-four hours without connection to the Internet. During this time I have cursed BT Broadband and questioned what I value more: food / water or connection to the Internet. It seems I have had difficulty living without the latter and I have no idea how long I would have lasted had I not resolved my lack of Internet this very day. I have sought comfort in my recent reunion with the World Wide Web by immediately pouncing on Twitter, and thus through the power of the Tweet I have discovered a unique artist of dubstep and electronic musical goodness called Kito, of Perth, Australia. She really is an artist I should have been aware of already, but I excuse myself for being unbelievably busy in recent times. 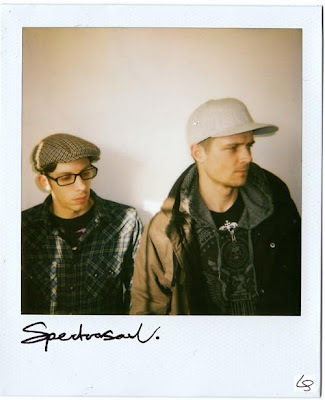 Thankfully, through the medium of Twitter, I was introduced electronically to Kito via a Tweet made by Dave of Brighton-based drum and bass pioneers Spectrasoul (whom I was chuffed to introduce electronically to Claude VonStroke). I am truly blown away by these beautiful pieces of music that are completely mesmerizing; ruthlessly so. It is great that Kito has been signed to Skream's very own Disfigured Dubz label. UK is at the source. I now ask myself what I conclude from discovering Kito. Not only is she an amazing discovery (these tunes are some of the most original and touching pieces of music I have heard this side of the year 2000, regardless of genre or style), but she is a discovery that was made because of my connection to the Internet. It is a connection that I depend on, nearly as much as I do food / water and music itself. 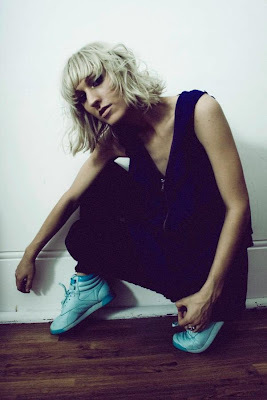 check out her mix on australian tripple Jradio. Ive had it on my ipod since May/june and it is one of the best mixes Ive heard. Defiently in my top 5 mixes off all time. The whole mix is on the same 'vibe' as the tunes she creates, and you can see what other artists 'influence' her and allso get a heads up on similar sounding artists. Thank you! Picked up the mix recently - heavy! I think what Kito brings to the dubstep equation is 'feeling'.... simply just 'feeling' a song... simple as that... dont deny your feelings?? Gunda G - thank you very much for your words! I saw Kito spin recently at an intimate gig, it was superb. I wrote a piece here http://www.gettothefuture.com/2010/04/review-deadly-rhythm-elijah-skilliam.html - I must say I fully exploited my time on the dancefloor during the set. I shall listen to your beats in the next couple of days Gunda G. Thanks again. If you havent listened to Kulture get onto it as well..
if you hear anything you like let me know and I can sort out a download link..
Bare Noize Remix of M'Black's 'Heartbreak'.